Jaime Sanchez (@segofensiva) is passionate about computer security. He has worked for over 13 years as a specialist advisor for large national and international companies. As a specialist advisor, he focuses on different aspects of security such as consulting, auditing, training, and ethical hacking techniques. He works in the Security Operations Center (SOC) of a multinational telecommunications company offering managed security services for IBEX35 companies. He has a Computer Engineering degree and has completed an Executive MBA (Master in Business Administration). In addition, he holds several certifications: CISA, CISM, CISSP, CCNA, CCNA SECURITY, and ITIL, just to name a few. In his free time, he conducts research on security and works as an independent consultant. He has spoken in renowned security conferences nationally and internationally, introducing new bugs and exploitation techniques and mitigation, as in RootedCON in Spain, and Nuit du Hack in Paris. In the coming months, he will be presenting at Black Hat Arsenal USA 2013, Defcon XXI, DerbyCON or Hacktivity. 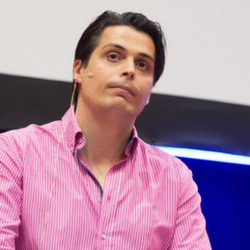 Jaime is a frequent contributor to several technical magazines involved with state-of-the-art attack and defense mechanisms, network security and general ethical hacking techniques. He also writes a blog called "Seguridad Ofensiva" touching on current topics in the field of hacking and security.